The Terminix Marietta Branch serves Northwest Georgia, from downtown Atlanta north to Calhoun and Jasper and west to Douglasville, including all of Cobb County. We protect homes and businesses, offering residential and commercial services to customers seeking effective termite and pest control. Best of all, we offer guaranteed solutions, including a money-back guarantee for pest control1 and the strongest residential termite guarantee in the business for qualifying properties. 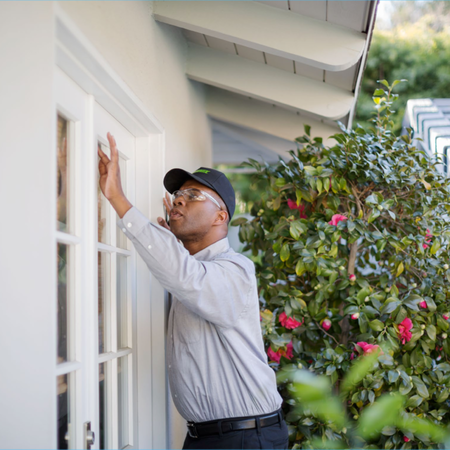 The Terminix Marietta Branch is staffed by service professionals who know local pest problems inside and out. We live in the area. We understand the threat of termites, ants, mosquitoes, rats, squirrels and more in the Marietta area. And we’re backed by our nationwide network of expertise. Bed bugs are back, and it seems they’re everywhere — even in Marietta. But while a bed bug infestation may seem unstoppable, we’re fully equipped at the Marietta branch to take out these intruders. We’ll create a customized plan to put bed bugs and their eggs down for good. Call today or visit here: to schedule a FREE Bed Bug Inspection. The South is definitely known for being hot and humid, and Marietta is no exception. The problem? Termites love warm, humid locations, too. Nationally, termites do billions of dollars in damage each year. That’s why so many homeowners and businesses rely on Terminix, the first pest control company to ever obtain a termite patent. Our mosquito service effectively kills mosquitoes in the Marietta area with a natural active ingredient that’s safe around kids and pets. It’s proven to significantly reduce mosquito populations in treated areas by more than 90% in just two to three weeks.3 And we’ll come back every four weeks to keep the mosquito population down. 3Source: “ATSB Trial Summaries Israel 2013: ATSB with garlic oil encapsulated in beta-Cyclodextrin as active ingredient” by Dr. Gunter Mueller. 4Limitations apply. See your Terminix Exclusion Plan for details.